The new summer Wonder Festival figure & GK fair is close, before a new figure avalanche begins, I want to take a look at the figures that caught my interest in the last few months. I didn’t place any figure preorder lately, not that there wasn’t any appealing stuff for me, but somehow I feel quite conservative about preorders at the moment. I can’t really put my finger on it, but it might have something to do with rising prices, 10.000 Yen have became common for regular 1/8 scaled figures. Also the sheer amount of figures make it difficult to decide for one figure out of a bunch of really pretty figures. I thought just with waiting would sort out things by itself and I could see my priorities more clear. It worked a bit actually, but not as efficient as I imagined it to be. Hey selling some things might end my misery at once. Don’t worry this won’t end with too much text, I just put a few words under the pictures. In the final Game of the Worldcup I made a silly announcement about buying a GSC in case Germany would win. Well, I don’t know if I should follow my lame tweet from this evening, so just for fun I let you, the readers decide which one I should choose Ciel Alencon or Wo Class. Ciel Alencon looks great in her steam punk related clothes and I really like her scowl expression, this is such a pretty face. 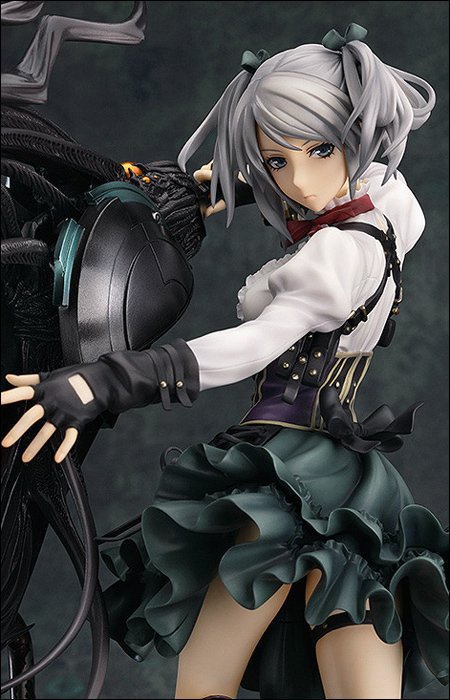 The figure appears to be very detailed and her weapon has two display options. I would like to get her, but the lady is unfortunately quite expensive. In the Kancolle Game the enemies do not often appear in full view and the japenese ships are cuter in general, but when taking a look at this Wo Class figure which is based partially on the character art, I have to say that I’m surprised by her appealing presentation. The pale girl is actually an aircraft carrier, she comes with a big detachable, fashionable hat and three flying objects. The organic design and rough textures with a “grunge” like shading make her stand out from other figures, also her big blue eyes give her something beautiful and appealing. This big woman also has a strong facial expression and beautiful facial features. Her proud presentation is contrary to her “special interest” origin, but I like her more like that. The ninja outfit is really cool with the shiny colors and fishnet inlets. Yeah her curves are also something. I have not much experience with Milestone, but the prototype looks great actually. her pose, the samurai themed outfit and expression. She is also availabe as DX version with muramasa the mechniced spider, as normal version she is more affordable, though. I’m fully aware that adult men playing with dolls, must be super weird to people who know nothing about anime culture, but who cares when it is something I really enjoy. Months ago I got myself the 1/6 Nakano Azusa Doll from Azone, a small post about her adventures might follow soon. As cute as she is, she’s not really my type anymore and I thought alternatives. I found this rather affordable Doll, coincidentially it’s the project of Danny Choo, he turned his Mirai mascot into a 1/3 scaled Doll. While I don’t consider myself as Mirai fan, I find this one quite enchanting. My problem with Volks standard Dollfies is that they often has rather stiff expressions, Mirai has a more friendly expression and more accentuated blush marks. Mirai comes with a set of casual (the ones in the picture) and a telescope stand, other bust parts can be ordered seperately. Well, ok to afford her I would have to pass on any figure purchases for at least two months, difficult but not impossible. From the IS figures made by FREEing I like Laaura the best, the bunny suit suits her very well and this shy expression is truly adorable. The pose of Laura also looks very well done. This green Utsutsu came out of nowhere, her design is really interesting with her hairstyle and arrogant face expression, I find her quite attractive. She’s a bit at the anorexic border, but she shows it without concern. On full view it is a beautiful appearance with her slender body. Haha I’m really crazy about the submarines in Kancolle, they are so lovely in their school swimsuits. The circle Taishiyoudou is selling an 1/5 scaled adaption of I-8 they did a great job with everything and also gave her a good looking base. Unfortunately, I’m pretty sure that I won’t get this super nice figure, she can only be bought at the coming Wonder Festival and I-8 costs 60.000 Y. Well, Max Factory and FREEing also have some submarine figures planned. So this were the figures I’m interested in at the moment it probably will be very difficult to decide which one I should get in the end. Haha the concerns of a passionate figure collector. Yeah I saved up enough money now, I’m ready ^^ Too bad Mr. Choo makes a secret of when the next batch will be available. The electric Smart Doll is really interesting, but the movements feel still somewhat robotic, maybe in 2 years this can be improved. Well, I’m mainly interested in the Doll anyway, so I would be happy to own the manual version. Indeed Volks is more expensive and in my opinion Mirai is the cuter Doll. Thx lets see how I can manage to handle such a big, moveable Doll. Just buy the darn doll already! Also Laura because she is the best husband in Infinite Stratos, Laura is the best. Although I like the Cecilia bunny a lot more and had she not sold out on AmiAmi I would have bought her. 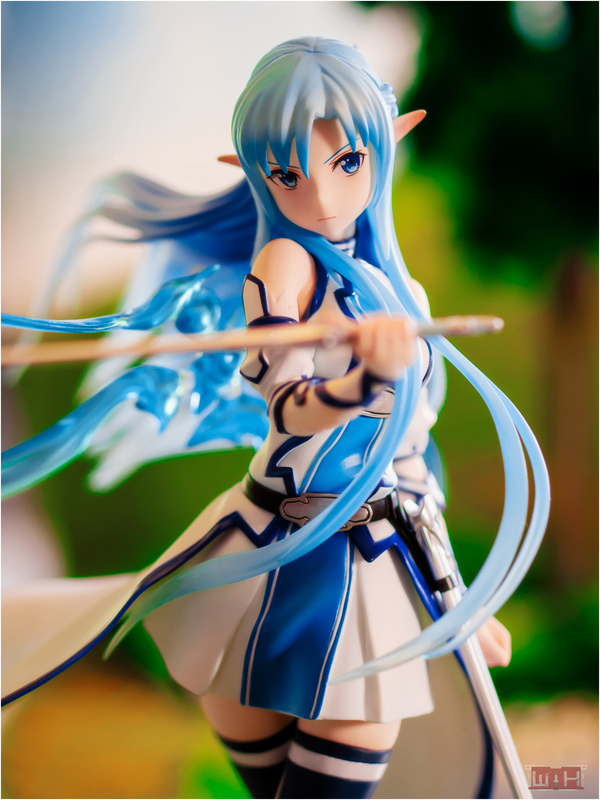 Chachamaru also caught my eye, there is something about her expression and the feel of the figure that I really like. You should get that one too, preferably the DX verion kay? Yes, that is the plan, in early August I can try to grab my copy. The problem is that there are many interesting figures I would like to get at the moment, it developed into a real problem considering preorders. I can’t decide at all, well having a small preorder list also has some merits *lol* Well, I guess they will rerelease Cecilia, so you should be able to get her. Yes, its a great expression with the typical nitro+ style, no the spider makes her ridiculously expensive, it doesn’t even has a light feature. 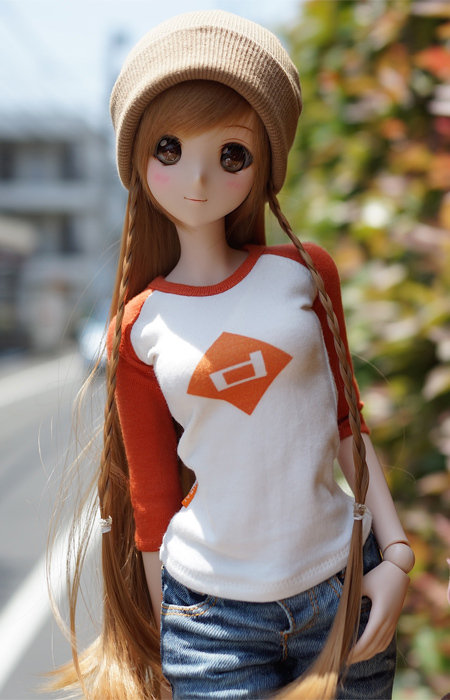 Smart Doll? I think it will be interesting if you actually buy it xD Will definitely be looking forward to your review, since I heard you can even remote control it using your smartphones. Oh sorry, I set my eyes on the non mechanical version, the electric version is also still in development. Betting with yourself on sporting events is a good way to do things; I told myself I would buy myself some new goodies if the Heat lost in the NBA Finals, and since they did, I went ahead and did just that. If I were you, I’d definitely get Wo-class, unless you like the Max Factory version better, I guess. You should get Asagi, too; she’s a lady ninja who knows how to have a good time. There was a time when paying 60k yen on a figure I really wanted wasn’t a big deal to me, and I guess I’d still do it, but it’s too bad that that’s (currently) the only way to get I-8, since she’s quite cute. I’m not too enthused about the other submarine girl figures that have been put up for preorder; Max Factory’s I-58 looks really weird to me; whenever I see her, I always look at her lower left leg, which doesn’t look right. Haha I’m not sure about that, but it brings fun to your daily life and makes ordering more adventurous. Wo class has a lot to offer I think. Oh I have to check what MF’s version looks like, never heard of it. I think I will get Asagi anyway but maybe not as preorder, it really smells like bargain bin with every figure of a less popular character at the moment. It’s a beautiful adaption of I-8 but I guess that would be breaking my Wallet, also not good to have her sold as Wonfes exclusive. Well I-58 is a not such a good example with her chunky foot, but I’m looking forward to the other ones. I think so recently the price too high even for the usual 1/8 start to reach over 9k yen or even 12k yen and lately, I saw most figurines price drop couple weeks after release. I always sure German will Win the WC \ :3 / !!! Not familiar with utsutsu but she really reminds me of Saya (from nitro+’s saya no uta game). Mirai really cute her hair make her looks like asuna lol and about doll, personally I am kinda half willingly to spend money for their accessories(like clothes or wigs)……. but they are a nice one to have,especially since you really good making background for your photos. I have to see her in the anime once. Haha yeah their clothes are expensive compared to clothes for Azusa. Still the big dolls look a bit better and have better joints, it would be fun to take pictures with Mirai I guess. Buy Ciel Alencon! I love everything about the figure. She has cool factor, lol!!. I’ve seen pictures of the Mirai doll and she looks gorgeous. For me though, it’s still too expensive. Hi thanks for your opinion about that. Yeah Ciel is really cool, I think it would be fun to have her. I think these Dolls seem to be all quite expensive, I am not sure if I really want t spend so much.